There is no better feeling than rising early to hunt. The dew on the grass and the ambiance of the environment pull you in. The weight of your rifle and the anticipation of taking down game gives you the feeling of butterflies in your gut like nothing else. All you can think about is the gentle squeeze of your trigger between breaths, the sudden jolt of your rifle, and the eventual thump of the game to the earth. The entire experience is what you live for, but you need to have your processes and items in place to make sure everything goes off without a hitch. In this article, Bootleg is going to share the top 10 items every hunter needs in their pack, whether sighting bird, bear, or deer. Your body needs to consume water each day to function properly. In a survival situation, you have between three and five days before your body begins to shut down if it goes without water. Food, on the other hand, is a different story. However, you need to make sure you’re drinking four to six liters of water per day. If you don’t want to slosh around water, you can take a water treatment filter or tablets with you in the event you find yourself in a survival situation. Your food is your fuel. Granted, humans can go up to three weeks without food and survive. However, if you’re not eating regularly, your body will begin to fail. Having at least 1 ½ pounds of food on you is a start. You can take food like jerky, trail mix, and other protein-based foods that burn slower to give you a longer span between meals while you’re working to survive. The proper hunting apparel is vital. Not only do you want to be wearing the proper high-visibility attire, but you also want attire that will help you stay warm, dry, and protected while out in nature. One of the worst feelings is stumbling into a survival situation where you don’t have the right boots, gloves, pants, or jacket to survive. The cold, heat, or dampness of any survival situation will play against your ability to make it out alive. You’re hunting, which means you need a license or tags for the specific area that you’re going to be sighting game. Without a license or tags, you will receive a citation. Also, to hunt on property that is not yours could result in a felony, which may be permanently attached to your record. What are you hunting? How long will you be hunting? Which type of weapon will do you prefer? Whether you’re hunting with a bow or rifle, you need to know what you prefer and what will work best to take down the game you’re sighting. For those utilizing AR 15s, you can customize it with the Bootleg selection of handrails, upper kits, and other accessories. You need to know how to navigate with a compass and map. Granted, you may have a smartphone and two extra-life batteries on hand, but the ability to navigate using other components are only going to make it easier for you to survive a rough situation. Depending on where you’re hunting and how deep into the wilderness you’re going, a plan of attack is a great place to start when going on a hunting trip. Mark your blinds, ping your hunting buddies and family on where you will be and when they should expect you back. The more people you inform, the better of you are in case of a survival situation. You can’t skin your game unless you have a knife. Find a knife that gets the job done and one that you prefer to use. There are dozens of brands and knife types on the market. Also, a survival situation will require you to use your knife for other applications. In some cases, having a second knife specifically for survival situations may be beneficial; however, having at least one knife will increase your odds of survival. Cuts, scrapes, and lacerations all require a different level of attention from you. If you cut or scrape your hand, you can do what your grandfather told you back when you were a child, “Rub some dirt on it.” A laceration, however, will need some serious attention. Depending on the depth of the wound, you will need gauze, stitches, bandages, and more. A first aid kit is mandatory on any outdoor adventure due to the inherent dangers that the environment imposes on you. No app on your phone can keep you from bleeding out. You need to be able to dress a wound and survive. You can go as light as a tarp. You can use your knife to carve stakes and then find a tree to drape the tarp over for a makeshift shelter. You can go as heavy as bringing a personal tent. However, you will want to determine how likely it is you will need shelter if you get lost while hunting. For most, hunting involves utilizing familiar land or land that someone else knows you’re on. 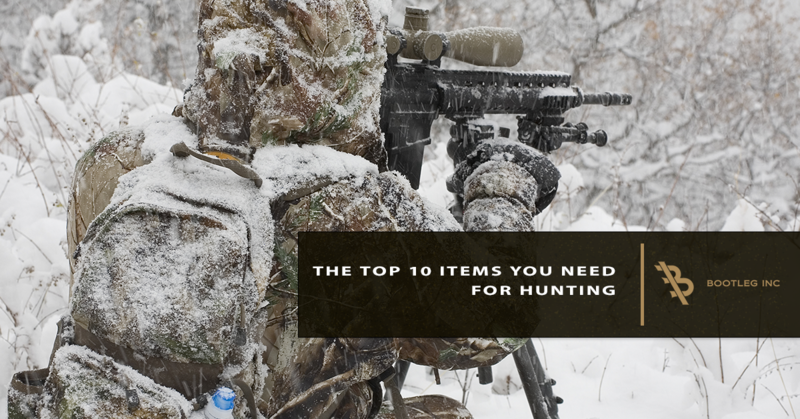 Depending on what you’re hunting, you will most likely have calls, scents, and more. Keep these items in airtight bags will keep you from being overexposed to the scents and potential danger that it brings with the game. At Bootleg, we take your rifle ownership seriously. Whether you get behind the sight at a range or out in nature, we want you to be as responsible and accurate as possible. 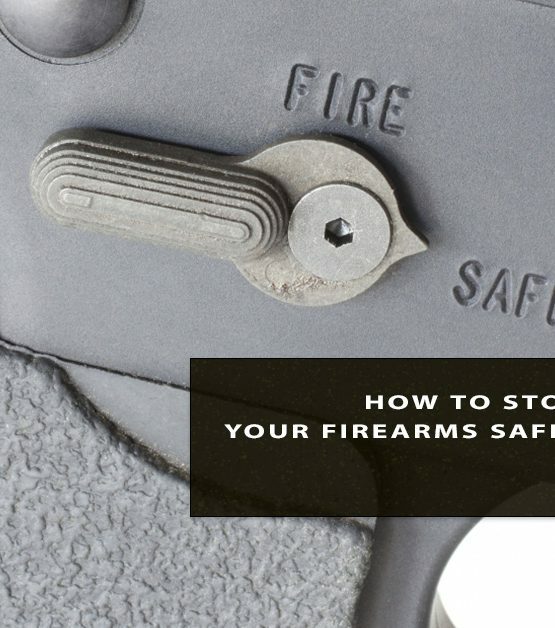 That’s why we offer some of the best AR 15 accessories on the market to customers like you. What’s more, you do not have to spend weeks searching for the perfect handrail or upper parts kit. We offer it all, and we encourage you to shop our online store now.